The U.S. president Donald Trump nurtures a strong relationship with the Saudi crown family. This February, Mohammed bin Salman bin Abdulaziz al Saud (the Crown Prince of Saudi Arabia) went on a three-week tour across the U.S. His father, King Salman bin Abdulaziz al Saud (82) stepped aside and allowed his 32-year-old son to run the show. The last time Prince Mohammed visited the U.S. (in 2016), he went on to live like a real Westerner – he put on a blazer and blue jeans and spent some time with Mark Zuckerberg testing the latest VR gear. President Trump made his first trip to Saudi Arabia in May 2017, when he joined the Royal family to perform the traditional Bedouin sword dance. They also visited the Global Center for Combating Extremist Ideology, when a legendary photo was taken of them reaching out together towards a glowing orb. 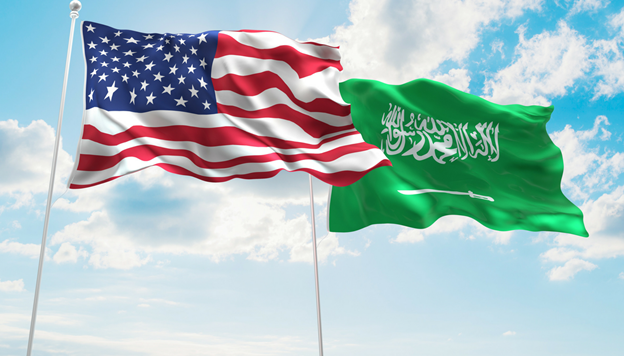 As for the capital, the deals made between the U.S. and Saudi Arabia reached a striking number of $350 billion, including a $20 million allocation to a private equity fund that targets American infrastructure. Prince Mohammed went to the U.S. to send a message that Saudi Arabia is safe for doing business. The vision he is after includes Saudi to move away from oil by 2030 and invest in a high-tech city and Red Sea luxury resort where women can wear bikinis, as well as an entertainment city. The Kingdom seeks American capital because they are no longer synonymous with endless wealth (as they were in the past 50 years). However, when oil prices went down four years ago, the Saudis had to spend $200 billion in foreign reserves to make it through. Subsidies were slashed for electric power and gasoline, and the salaries of government workers were reduced. Prince Mohammad wants AI and robotics to be the cornerstone of Neom, the new $500 billion cities. Last November, the Prince launched an anti-corruption campaign, claiming that it had raked in $100 billion, with the number later being reduced to $5 billion. They also declined to clarify things or answer any questions regarding the details of their campaign. The government said in January that the anti-corruption campaign had raked in $100 billion. That number was later reduced to $5 billion. A spokeswoman at the Saudi Embassy in Washington declined to clarify or to field any questions regarding the cases of individuals detained in the campaign. Prince Mohammed has so much to do and wants to do it as quickly as possible. According to the latest prognostications, gas guzzlers will be replaced by the rapid adoption of electric vehicles. The Kingdom aims to diversify from oil and create a society with gender equality and freedom of speech. With new investment opportunities arising in the East, contact Blackhawk Partners for investing and trading advisory services. Saudi Arabia is the hottest emerging market in 2018, with markets opening up as a pillar of Vision 2030, to break their “addiction to oil.” Spearheaded by Prince Mohammed, it is a blueprint of what Saudi economy will look like over the next decade.